With National Toast Day now gone and forgotten (even if it was under a fortnight ago), our attention now turns to another hugely popular breakfast choice – cereal. Across the pond, almost half of all Americans eat cereal on a daily basis and in fact, it is the third most popular item sold in US supermarkets. While us Brits don’t consume cereal with quite the same regularity, it is still a hugely popular breakfast option. 1. Cereal was first invented when housewives served popcorn with sugar and cream for breakfast. 2. There are 2.7 billion packages of cereal sold every year. 3. 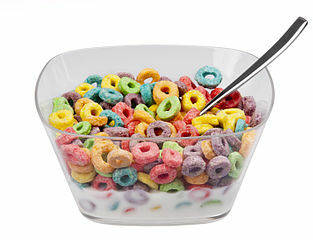 On average, Americans eat a whopping 160 bowls of cereal per year. 4. However, contrary to belief, UK breakfast cereals actually contain nearly 30% more sugar than those sold in America.